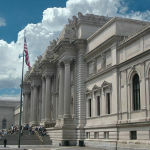 The Metropolitan Museum of Art (colloquially The Met), located in New York City, is the largest art museum in the United States and one of the ten largest in the world. 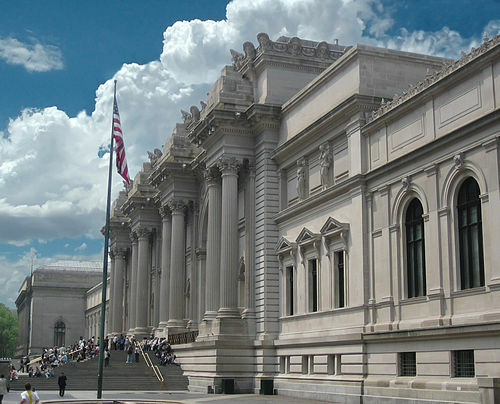 Its permanent collection contains more than two million works, divided among seventeen curatorial departments.The main building, located on the eastern edge of Central Park along Manhattan’s Museum Mile, is — by area — one of the world’s largest art galleries. There is also a much smaller second location at “The Cloisters” in Upper Manhattan that features medieval art.